Employee experience is a hot topic on the web, in the press and on the airwaves. Not to be confused with company culture, employee experience also takes the technological and physical working environment into account. Put simply, the idea behind creating a great employee experience translates into providing the right tools for the job and creating a place or environment that inspires employees. In considering all things related to the employee experience, I was reminded of my experience at an excellent conference I attended in Boston in 2013. ‘Inbound’ is an increasingly popular marketing conference, hosted by Hubspot, and attended by more than 10 000 delegates annually. Their lineup of speakers include the likes of Seth Godin, Ariana Huffington, Alec Baldwin and more. (As an aside, this year’s conference will see Brene Brown, Elizabeth Gilbert and Michelle Obama as keynote speakers at Inbound 2017). Going back to 2013, one of the talks was about how people perceive far better value when they purchase experiences as opposed to purchasing material goods. The presentation was delivered by Elizabeth Dunn one of the co-authors of the book “Happy Money – The Science of Smarter Spending”. At this point you may be asking what on earth this has to do with HR or the employee experience, so let me explain. Firstly, Inbound marketing is all about digital transformation. Companies who are adapting to take full advantage of the digital era are embracing digital throughout the organization. This now includes the Human Resources Department. 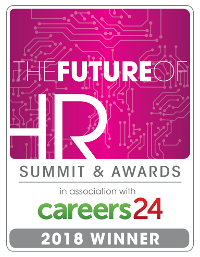 So the whole digital disruption or transformation has now permeated into the HR department seeking to optimize the work environment to ensure that employees are fully engaged. More and more companies are realizing the benefit of providing the employee with a great experience and not just a salary cheque at the end of each month. 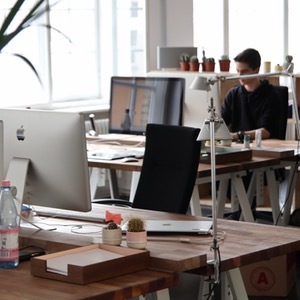 Companies are increasingly improving their workspaces to help create better environments that people enjoy working in. Over and above the physical environment, companies have recognized that the tools that people use have become quite a personal choice. If you use a tool that you are most comfortable using, you are likely to produce a better product. Thus the era of companies standardizing on certain hardware and software seems to be coming to an end. We see this as an essential step forward in the workplace and fully support the move towards better experiences all around. Has your company made any moves in this direction? Please share your thoughts and experiences with us in the comments box below.